It is a rare privilege to see a Black Rhino on an open area. Seeing three together is a very special treat. 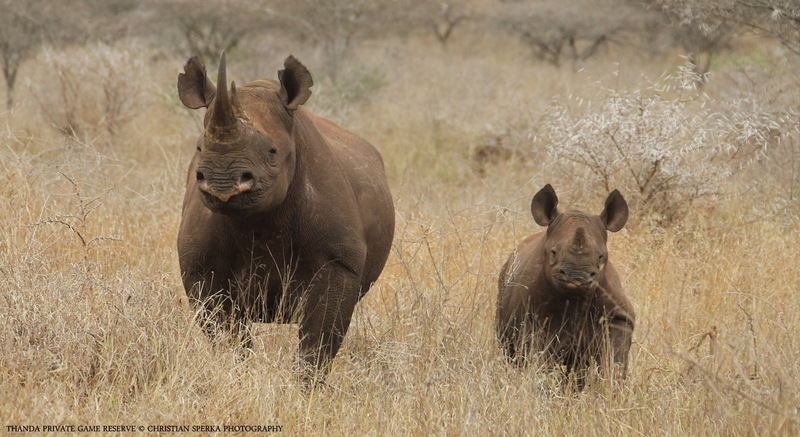 This black Rhino mum crossed the Thanda savanna with her two calves as we spotted them. 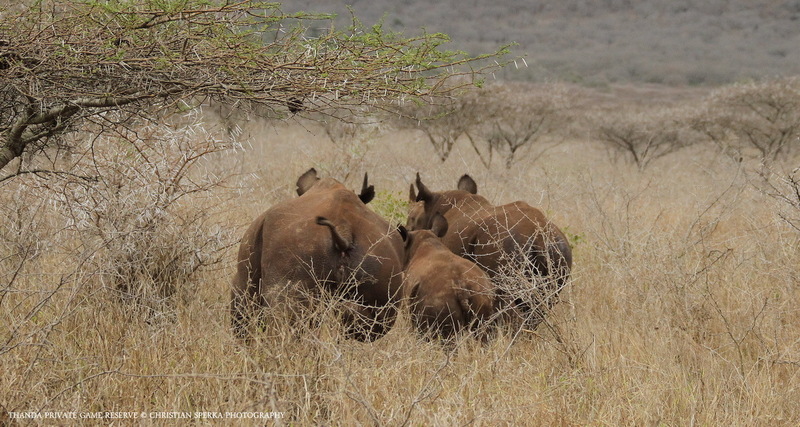 She took one look at us (and could not see much, as Rhinos have very bad eyesight), listened intently (as did her small calf) and then decided to depart quickly into thick bush. What a sighting!